Jeff Wyffels Building, LLC provides a wide range of services to meet the building and maintenance needs of both residential and commercial clients. Each job--regardless of size--receives Jeff's commitment to deliver quality work, attention to detail, and the conscientious care that has resulted in satisfied customers throughout the years. Jeff Wyffel's expertise encompasses major residential renovation, home additions, remodeling of living spaces, and a wide variety of other home improvement projects. Thinking about adding on an extra bedroom or a home theater? Want to expand that old, inadequate porch, add a sunroom, or totally update your kitchen and bath? 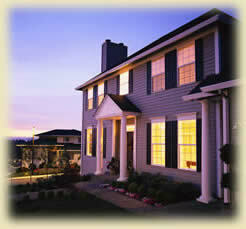 How about giving the exterior a brand new look with high-quality, maintenance-free siding and trim? Is it time to update that plain, ordinary front door and those leaky, inefficient windows? Have a particularly challenging project requiring creative engineering and extraordinary craftsmanship? We can handle all of these residential projects and many other types. Whether yours is a new, upscale home or a vintage home with unique construction or woodwork, you can trust Jeff Wyffels to protect and enhance your investment through skill, craftsmanship, and careful attention to detail. Take a look at just a few of the hundreds of residential building projects Jeff Wyffels has completed. We handle building expansions, tenant build-outs, and renovation and remodeling of commercial properties. From ground-up framing, to plumbing and electrical, to decorative tile and detailed wood trim, we give our commercial clients the kind of service that takes the worry out of construction projects. Our approach produces building exteriors and interior spaces that show exemplary fit and finish as well as delivering long-term durability. Jeff Wyffels has delivered high quality results on school renovation, restaurant remodeling, new office building construction, professional office build-outs, church interior finishing, hotel conference center remodeling, and numerous other projects, building a legacy of satisfied customers along the way. Ready to update your offices, build out a leased space, or renovate some other type of commercial property? Take a look at a few examples of Jeff Wyffel's recently completed commercial projects to get a better idea of our range of commercial services. Then give us a call to discuss how we can help you accomplish your commercial building goals. Homeowners now have a trusted source to turn to when they need the services of a skilled handyman to help maintain, repair, or improve their home. Jeff Wyffels Handyman Services is a division of Jeff Wyffels Building, LLC and delivers the same quality of service for those smaller jobs around the house. 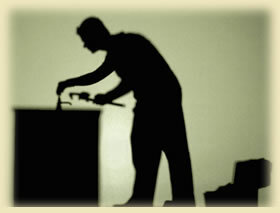 Need a light switch replaced, leaky faucets repaired, ceramic tile re-grouted, drywall patched, or gutters cleaned? We can take care of those chores on a one-time or regular basis, leaving you free to enjoy your home without the worry and burden of maintenance. 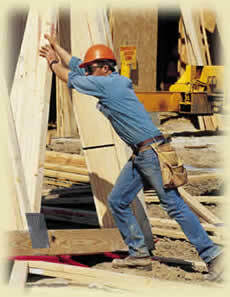 See our Handyman Division for more details. Copyright © 2004-2017 Jeff Wyffels Building, LLC. All Rights Reserved.